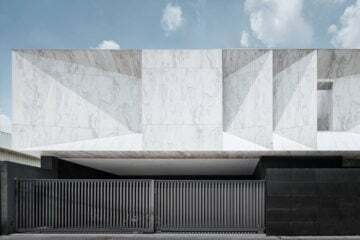 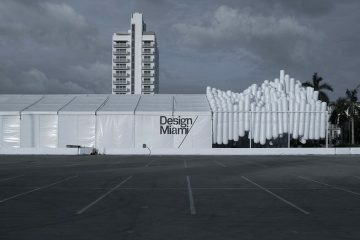 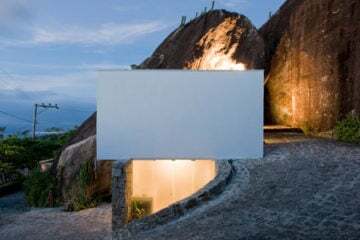 The Brooklyn based multidisciplinary collaborative practice ‘Snarkitecture’ created the entrance pavilion of the 8th annual Design Miami. 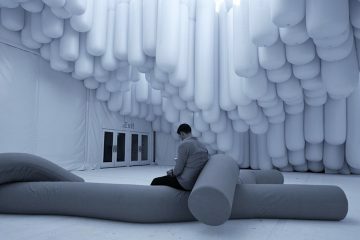 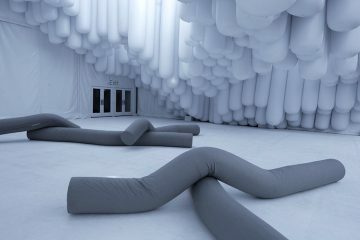 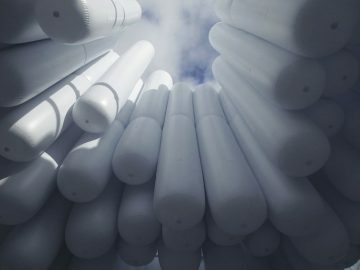 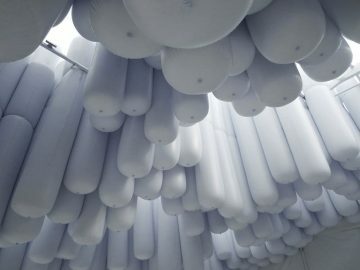 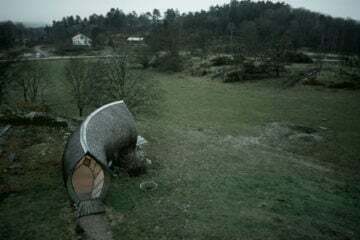 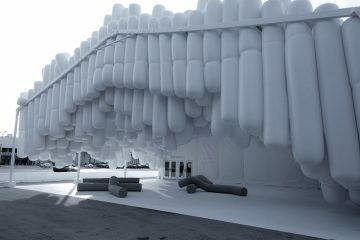 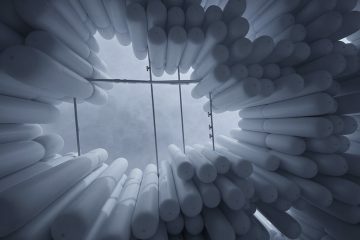 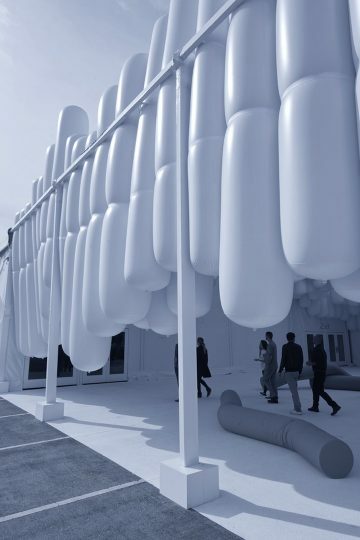 Working between the disciplines Art and Architecture ‘Drift’ consist out of 500 cylindrical white inflatable vinyl tubes, attached together and lifted up to create areas of circulation and invite visitors to sit and rest in this floating environment. 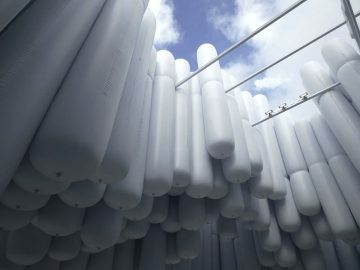 Filtered light passes between the tubes and offers a view of the Miami sky and some fresh air.